The blogging hiatus is close to an end. Really. I’m forever apologizing for the lack of blog activity. Sorry. I know. I owe my vast and loyal readership (Hi Mom!) an explantion. Behind the scenes here at Myrmecos Industries we are 90% done with a significant overhaul of the ant photo collection. 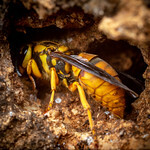 Essentially, the content of myrmecos.net is moving to the galleries at www.alexanderwild.com, with a significant restructuring of the latter to accomodate an orders-of-magnitude increase in imagery. The process involves a lot of time-intensive tasks like captioning and keywording, as well as retouching older photos and adding in completely new series. I haven’t got much energy left over for blogging, and especially not with all the house-related projects going on concurrently. 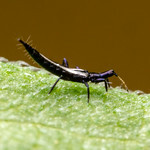 The old site (myrmecos) will remain online, but in archival form only. In the future all new content will go to alexanderwild.com. I can tell you this, though: the new combination looks fantastic. Really, really, really great. The search function is spectacular, the galleries are gorgeous, and navigating among the images is much easier than it was at the old place. We’ll be ready to release the new galleries in about a week. Stay tuned. I want a preview! 🙂 Please do tell us in my ant forum: http://antfarm.yuku.com too. Don’t worry, Ant. I’ll announce the new release at your forum once it’s up. I didn’t mention this, but most of the new images and galleries can already be accessed through the search box on the home page of alexanderwild.com, even though they aren’t publicly linked anywhere. So if you go search for, say, “Forelius”, you’ll be able to get a little preview. Hey man… I am excited about your announcement! I can’t wait to see the new upgrade of your website! Hurray!